Daylight saving time begins at 2 a.m. Sunday, March 11, when most U.S. states will spring forward an hour. And with it come time changes in sunrise and sunset that may affect drivers and pedestrians. Across the nation and most of New England pedestrian deaths have increased and that’s why the AAA urges all adults to pay attention while driving or walking outdoors and for parents to teach children playing outside to watch out for motorists. 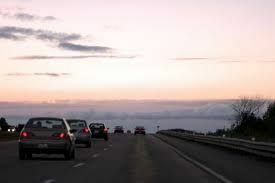 Also, motorists should drive slower and should be extra alert, especially in neighborhoods and school zones because more pedestrians, joggers and bicyclists will be enjoying the outdoors on or near streets in the longer evening daylight hours, according to AAA. Nearly 6,000 pedestrians were killed in 2017, a nine percent increase from the previous year and a 25-year high, according to the U.S. Dept. of Transportation’s National Highway Traffic Safety Administration. Maine had 20 pedestrian fatalities in 2017 a 15% increase from 2016. New Hampshire had 12 pedestrian fatalities in 2017, a 36% decrease from 2016. Vermont had 8 pedestrian fatalities in 2017, a 37% increase from 2016. When the time changes, drivers can expect reduced visibility during the morning commute since sunrise is not until after 7 a.m. “The early morning drive to work or school will be darker and makes it more difficult to see pedestrians and also school children on foot,” said Pat Moody, director of public affairs for AAA Northern New England. See and be seen – drivers need to see you to avoid you. Make eye contact with drivers when crossing streets. Wear bright colors or reflective clothing at dusk and at night. Carry a flashlight when walking or walking pets after dark. Parents should teach and reinforce children’s pedestrian safety habits. All drivers should not drive impaired by alcohol or drugs or distraction. Drivers should slow down and watch for children and families in neighborhoods and along school bus routes, at intersections and when backing out of driveways. When approaching a crosswalk, reduce speed and be prepared to stop. When stopped at a crosswalk, allow enough room between your vehicle and the crosswalk so other drivers can see the pedestrians you have stopped for. Teen drivers should exercise extra caution.